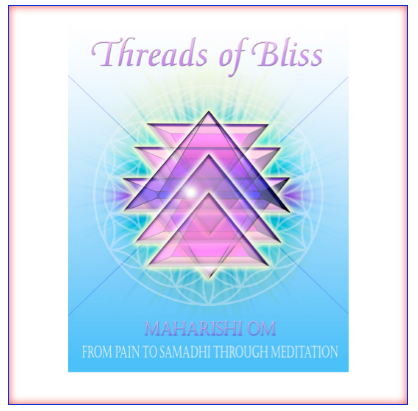 ‘Threads of Bliss’ is His Holiness Satguru Maharishi Om’s offering of Love to humanity, manifesting out of Infinite Compassion, with the sole purpose of awakening the consciousness of human beings, by helping them realize the Ultimate Truth through the systematic practice of Meditation, as outlined by the ancient Siddhas. This book is a reminder and a practical guide: a reminder of the true goal of all spiritual practices, and the true value of meditation. The Book is a wonderful treatise on Self-Realization through Meditation, written in a very simple style suitable for beginners who want to understand what Meditation is, as well as the advanced practitioners who need guidance to progress to higher levels of meditation. Its pages are abundantly filled with techniques to help the aspirants deepen their practice and advance to the higher states of consciousness. The Breathing and Meditation techniques presented here are those that were used by Siddhas. As mentioned on the cover of the Book, this is a Book for transforming Pain to Samadhi through Meditation. The Book should be read slowly allowing the Mind to grasp the deeper meaning of the sentences followed by practicing the techniques prescribed in the book, to gain the most out of this practical guide.